Tony Benn's use of special flights when he was a minister in 1975 prompted Harold Wilson to ask officials to investigate, show Cabinet papers. Benn, then industry secretary, sparked press and Tory complaints when he used an RAF jet to fly from official engagements to a constituency dinner. His department said the flights were justified but Wilson was told that Benn used the RAF more than average. The details emerge in papers released by the National Archives in Kew. The Sunday Express newspaper in February 1975 ridiculed Benn as that "Spartan standard bearer of the underprivileged masses" for going to his constituency for a social occasion in an RAF jet. The article led Conservative MP Sir Frederic Bennett to write to Benn asking if the report was true and threatening to complain publicly. In his reply, Benn explained that he had agreed the previous year to attend a dinner of his constituency party in Bristol. Later, he had been invited in his ministerial role to official engagements in Liverpool and Salford on the same day. Benn said the only way to fulfil both commitments was by flying from London to Liverpool and then on to Bristol. "If an aircraft had not been available, I would not have undertaken the official engagements," he said. The newly released files show Benn's private secretary, Roy Williams, telling the Ministry of Defence his department believed the flight was "in accordance with precedence". The issue was referred to Wilson by his private secretary, Robin Butler, who said Cabinet ministers had the discretion to authorise special flights for themselves or other ministers in their departments. "When a minister is returning from an official engagement, as Mr Benn was, it is always a borderline decision," said the note, which did not suggest Wilson should intervene. The prime minister wrote on top of the memo: "Noted. Is there any evidence of some ministers using these discretions more than others?" RAF figures show that between March 1974 and February 1975 Benn sought seven RAF flights, compared with 22 for Wilson, 17 for the foreign secretary, 10 for the defence secretary, seven for the minister of agriculture and six for the Wales secretary. The chancellor, home secretary, environment secretary and prices secretary sought only one each. The figures were given to Wilson in March 1975 with a note saying some of the flight demands were justified by security concerns, including those for the foreign secretary and himself. Other ministers, such as those in trade and agriculture, had to visit Brussels frequently. The defence secretary was a "special category". The note said some of the Wales secretary's use was because there were no commercial flights between London and Cardiff. "But it does seem to be the case that the secretary of state for industry makes a greater demand than average on the RAF," added the official. Wilson asks for details of Benn's seven flights - and also says the Wales Secretary, John Morris, should drive or take the train to Cardiff and only use flights to the Welsh valleys or West Wales. Other papers in the file suggest the seven RAF flights ordered by Benn cost a total of £2,206. One of the flights was shared with another minister and all of them were for official engagements, albeit with the Bristol dinner at the end of one. 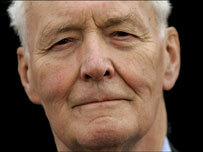 Benn also appears to have taken seven flights with the Civil Aviation Authority's flying unit during the same period. The files do not suggest Wilson took any further action on the issue.